There are many websites out there that pay you a small amount of (mostly) bitcoins for doing certain tasks (there ain’t no such thing as a free lunch). In many cases it is about consuming advertisements, playing little games, completing surveys or other similar tasks. 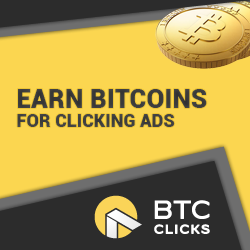 Please make sure that you don’t get fooled with many of the scams site claiming that they will double your bitcoins within a day or even shorter period of time. These so called High Yield Investment Programs (HYIP) are in pretty much all cases scams. They might pay out in the beginning, but long term it is a save bet that the owner of the site will enjoy his life with your bitcoins. In short: If it sounds too good to be true, it probably is. The sites listed here are tested and worked as expected when I gave it a try. If something should have changed, please let me know. Bitcoin Moonbit.io Easy and reliable; pays on a weekly basis between Saturday and Sunday. Read my review here. Litecoin Moon Litecoin Easy and reliable as Moonbit; pays on a weekly basis between Saturday and Sunday. Dogecoin Moon Dogecoin Same here: Easy and reliable; pays on a weekly basis between Saturday and Sunday. 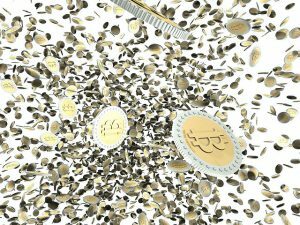 bitcoinget.com Earn bitcoins by completing tasks taking surveys and much more.